Summer is just around the corner, and we all know what that means – vacation time! Planning your family trip to Currituck and the Northern Outer Banks doesn’t have to be difficult! To help you plan, the 2017-2018 Currituck & Northern Outer Banks Guide has just been completed and is now available. You can find and request your copy of the guide here. And as always, the Currituck Chamber of Commerce is here to help! The Chamber is currently offering members some effective advertising opportunities though our printed and digital Chamber Guide. We also are offering a brand new program on our website for Enhanced Listings and Banner Ads. Affordable and effective! As you plan you marketing budget for next year please consider an ad in the 2016 Chamber Guide. We expect that this publication to continue to be the “go to” resource for relocation, visitors, residents, and businesses. The new guide will still have a variety of distribution points to get it out to the public and as always we mail it to every resident and business in Currituck County. Last year we increased distribution and published 30,000 copies of the guide, an increase of 10,000 copies due to increased demand. We will publish 30,000 copies again this year. The response the last several years has been overwhelming. Maxamize your membership with our newest form of advertising. Upgrade your directory listed to the new enhanced listing. Call the office at 252-453-9497 with any questions. Charleston, SC – The Carolinas Association of Chamber of Commerce Executives (CACCE) recognized the 2015 Outstanding Chamber of the Year (for a chamber with 700 or less members) at their Annual Management Conference. The Currituck Chamber of Commerce was honored as the recipient of the prestigious award. The CACCE Outstanding Chamber of the Year Award primarily focuses on acknowledging one or more significant achievements / accomplishments that a chamber has initiated, stimulated, and/or led in its respective service area at some point during the past 18 months. 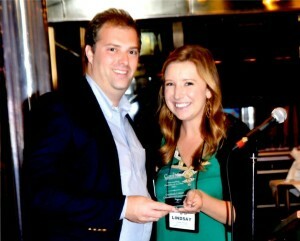 This award also recognizes that the Chamber has seen strong membership growth, and is a leader in their community. “We are very humbled and honored to have been recognized by our peers across both North and South Carolina” said Josh Bass President of the Currituck Chamber of Commerce. The Currituck Chamber has supported the Buy Local Currituck Campaign since its inception. This program is conducted with the Currituck Chamber of Commerce and Currituck Department of Travel and Tourism. Buy Local Currituck is offered to any Currituck business free of charge regardless of their membership standing in the Chamber. CACCE is the professional development organization dedicated to improving the educational opportunities for chamber of commerce executives and staff members in North and South Carolina. CACCE equips chamber of commerce professionals with leadership skills and tools to build innovative chambers. The organization was formed in 1994 when the North and South Carolina state chamber associations merged. Photo Caption: Josh Bass, President of the Currituck Chamber, accepts the 2015 CACCE Outstanding Chamber of the Year Award from Lindsay Keisler, SVP of the Cabawba County Chamber. The Currituck Chamber of Commerce Board of the Directors have named Dr. Bill Dobney, the Chairman of the Currituck County School Board, to a South Council seat on the Board of Directors. 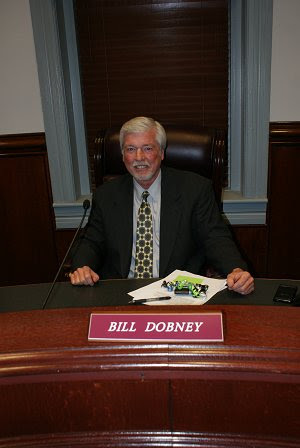 Dr. Dobney has been Chairman of the Currituck Board of Education for the past 6 years. Prior to that, he worked in the Currituck School system for 26 years and retired as Superintendent. For the past 40 years Dr. Dobney has been an integral part of the community and has served Currituck County in various ways including serving on the boards of the Whalehead Preservation Trust and Kingdom Kids Learning Center. He received his Doctorate degree in Educational Administration and Supervision from Virginia Tech. The membership does have the right to petition within 10 days if the name submitted to fill the board seat is unacceptable. Please join me in congratulating Dr. Bill Dobney in his new new role on the Board of Directors of the Currituck Chamber of Commerce. The Currituck Chamber of Commerce Board of the Directors have named Suzanne Everhart, the Marketing Manager of SAGA Construction & Development, to a Coast Council seat of the Board of Directors. 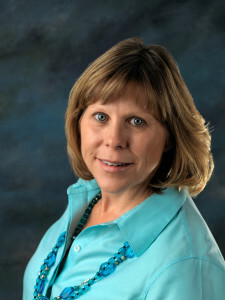 Suzanne has been involved in the real estate development and building business for over 20 years. She was previously a principal partner at Edge Water Construction & Development. Suzanne has been involved in such developments as The Gables in Kitty Hawk, The Kilmarlic Golf Club, and Currituck Reserve and has currently taken on the task of managing Waterside Villages in Grandy. Suzanne has good knowledge of the entire development cycle, although at SAGA Construction & development she specializes in sales, forecasting, marketing and implementing strategies. Her National Home Building Association training and experience has helped her to better understand and communicate with home buyers and contractors alike, while her business savvy helps make sure the construction is on time and on budget, with the expected return on investments. The membership does have the right to petition within 10 days if the name submitted to fill the board seat is unacceptable. The Board of the Currituck Chamber of Commerce is always looking for interested individuals to serve on the Chamber Board as seats become available. If you or someone you know is interested please let us know. Please join me in congratulating Sue Everhart in her new new role on the Board of Directors of the Currituck Chamber of Commerce. Spring into warmer weather with the Currituck Chamber of Commerce’s Spring Social! Dining, dancing and a silent auction will kick off the season this year, and the Currituck Chamber of Commerce is pleased to be partnering with the Corolla Wild Horse Fund and the Currituck Senior Nutrition Program to host this event. 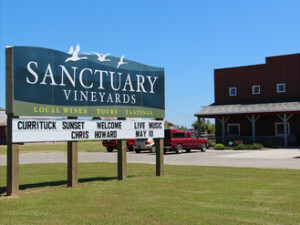 The Spring Social will be held Saturday, April 18th from 7 – 11 pm at Sanctuary Vineyards winery. Tickets are on sale now for $55 per person (plus $3.71 sales tax – due to recent changes in North Carolina laws for non-profit groups). Scholarships are available for $250, $500, $750 or $1000. Spring is just around the corner, and we all know what that means – vacation time! Start planning your family trip down to Currituck, Outer Banks now to get a head-start. 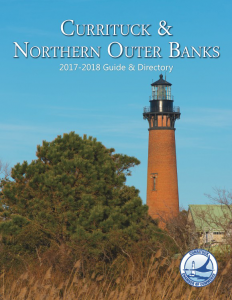 To help you plan ahead, the 2015-2016 Currituck & Northern Outer Banks Guide has just been completed and will be available for your perusal soon. The Currituck Chamber of Commerce would like to thank the many businesses who signed up to sponsor us; and those interested in advertising opportunities should please let us know by Friday, February 6. We are proud to be YOUR voice for business. The Currituck Chamber of Commerce Board of the Directors has named Michael Thompson of Dominion North Carolina Power to a Coast Council seat of the Board of Directors. Michael Thompson is the principal liaison with the North Carolina General Assembly and Executive Branches for Dominion North Carolina Power. He is the lead contact for regulatory issues before the North Carolina Utilities Commission as well as local governments and economic development in northeastern North Carolina. Mr. Thompson began his career with Dominion Customer Service in 1975 and then designed Retail and Wholesale Rates before moving into Government Affairs in 1985. He assumed his current position in January 1993. Mr. Thompson serves on the boards of North Carolina State University’s College of Sciences and Advanced Energy. 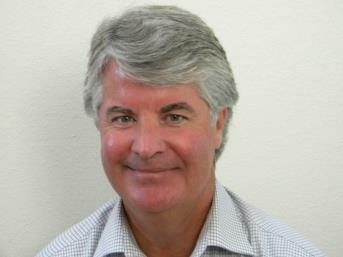 He joined the board of the Independent College Fund in 2004 and became Chairman in 2010. He also serves on the boards of the NC Aquarium Society and Coastal Studies Institute. Mr. Thompson holds a Bachelor of Arts degree in Mathematics from James Madison University. He is married to Deborah York, also a JMU graduate. They have two sons, one a graduate of JMU and the other from NCSU. Please Welcome Becky Howard to the Currituck Chamber of Commerce! Becky Howard of Grandy joins the Currituck Chamber of Commerce, replacing outgoing Board Member Tameron Kugler. Becky studied Music Education at the College of the Albemarle in Elizabeth City, NC and taught at Moyock & Griggs Elementary School for 30 years. Skilled at non-profits fundraising and community outreach, Becky has also served as District Chairman for the North Carolina Democratic Party. She and her husband own and operate CA Howard and Associates Realty, opened in 1984. Congratulations Becky, and welcome to the Currituck Chamber of Commerce!